Hello Arts & Crafts Enthusiasts! 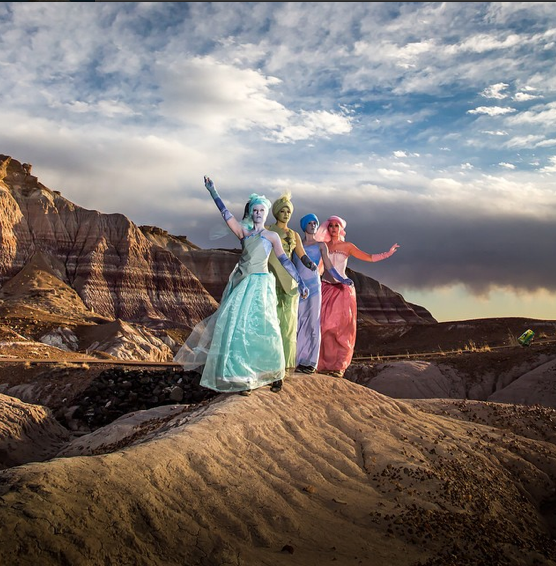 Last weekend, I was fortunate enough to be a part of an artistic photo shoot in the Painted Desert. Collaborating with artists of various backgrounds and skill sets is one of my favorite things to do! My role this time was to dress up and perform in the morning in "Transfix", then as Desert Rose in "Aurora" in the afternoon through the evening. Transfix is an interactive form of performance art created by Rachel Bowditch through her theatre company Vessel. More info on Rachel's work can be found here. When we perform in Transfix, we are in white from head to toe, including any and all exposed skin. I have participated in Transfix for about seven years now! Wow. 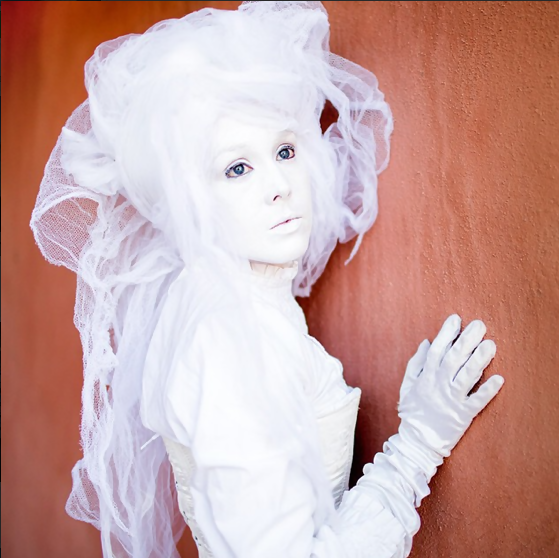 Below is a picture of me by Scott London, who was our incredible photographer in our Painted Desert shoot. Yours truly performing in Transfix, captured by Scott London; His post of this pic is here. 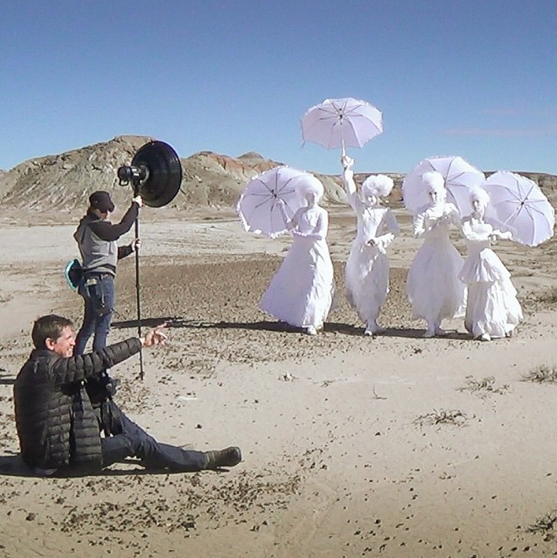 Behind the Scene's shot of Scott London (photographer), Ellen Beckett (assistant) and Transfix (performers). Working with Scott London was an absolute pleasure. There is something comforting as an actor, performer, model etc., when your director and/or photographer knows exactly what they want to capture and yet, also gives you freedom as the artist you are, to do your thing. I felt we were in great hands with his direction and vision. To learn more about Scott London and to see more of his incredible talent, click here. To see Scott London's Instagram post of Aurora, a performance by Vessel Project, click here. Well, I just wanted to share what I was up to last weekend. Thank You for taking a look!